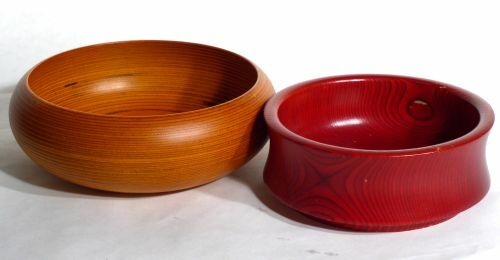 Paavo Asikainen (Finland) turned laminated wood bowls. One orange and one red. Condition: Red bowl has two small areas of missing stain.